LG’s upcoming Optimus G, the company’s first quad-core smartphone, came out of the woodwork last week and now the Korean electronics maker has confirmed the device, which will debut in Japan and Korea next month. The phone was announced last week, having been speculated about as early as July, and it is poised to begin life on DoCoMo’s Xi LTE service in September and launch with all three Korean carriers that month. From there, a global rollout will see it available internationally before the end of the year. 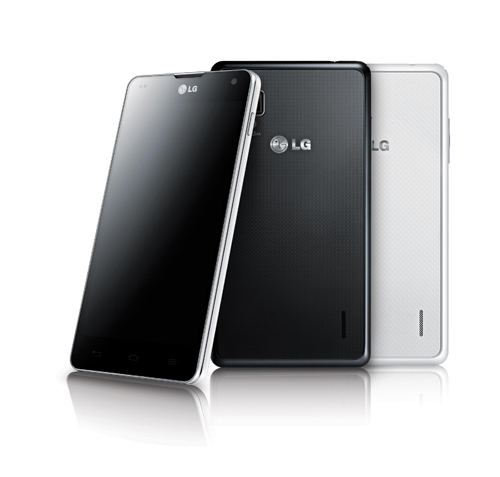 The Optimus G is powered by Qualcomm’s Snapdragon S4 Pro (aka the APQ8064), which boasts a 1.5Ghz quad-core CPU. The device is the world’s first LTE smartphone to run a Qualcomm processor, although Apple’s iPhone may soon join it in that bracket. LG called the chipset “blazing fast” last week, and it says it will boost performance by some 40 percent on previous Snapdragon releases. An indication of that significance can be found in the fact that Qualcomm itself leaked word of the smartphone last week. Running on Android 4.0 (Ice Cream Sandwich), the phone boasts a 4.7-inch display (with 1280 x 768 resolution), 2GB of RAM, a 1.4 megapixel front-facing camera and 13-megapixel on the rear. Taking firm aim at Korean rival Samsung, the LG Displays designed screen is “clearer than AMOLED displays but requires less power”, the company says. Considerable development also went into the battery, which has a lifespan of 800 cycles, significantly more than the standard 500, as LG points out. The LG Chem-developed 2,210 mAh battery is reportedly 60 percent more efficient than others of its size. The company is placing strong emphasis on growing into international markets and, alongside the 5-inch Optimus Vu ‘phablet’ — which gets an international launch next month — the Optimus G is being positioned as a key device for its domestic and international markets. It remains to be seen whether the Qualcomm chip will remain for international versions. The international version of the Vu is confirmed as having an Nvidia Tegra 3 processor rather than the LTE-optimised Snapdragon chipset used in Korea and Japan, and a similar switch seems likely for the global-flavored Optimus G.
LG recently passed 5 million LTE device sales worldwide thanks to its wide choice of phones, and now it is upping its game with these two ‘hero’ releases.